A 65 year old man presents with hematuria and a papillary tumor in the bladder. Histology: The lesions has discrete, delicate, non-fused papillae. Urothelium is overtly thick, even at low magnification. Cytology is normal or at most slightly enlarged nuclei with some cells having nuclear grooves. Umbrella cells are inconspicuous. Mitotic figures are virtually absent or at most rarely seen towards the basement membrane. 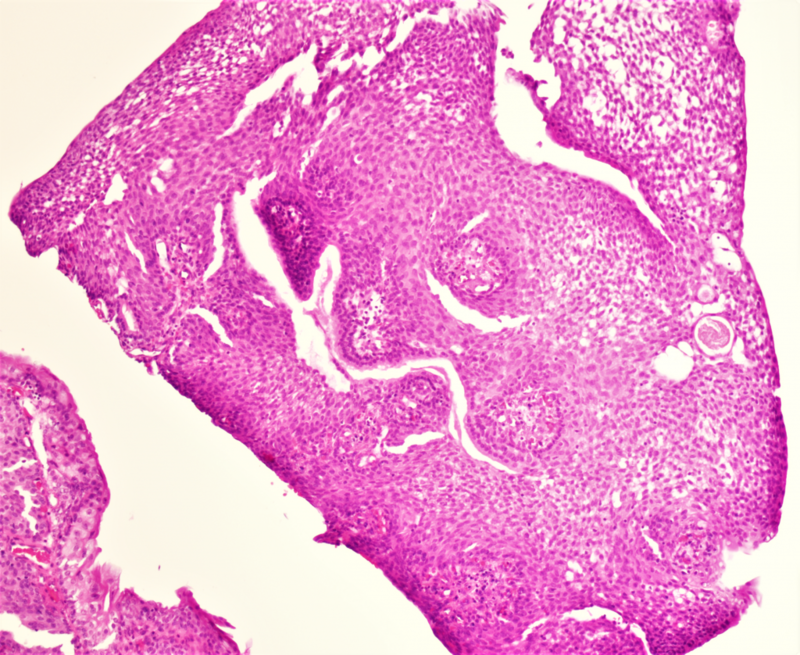 Discussion: In contrast to a benign urothelial papilloma, the thickness is overtly thicker than normal urothelium. In contrast to a low grade papillary urothelial carcinoma, there is a complete lack of cytological atypia with field after field showing monotonous bland urothelial cells without larger hyperchromatic nuclei. Also mitotic figures are virtually absent. 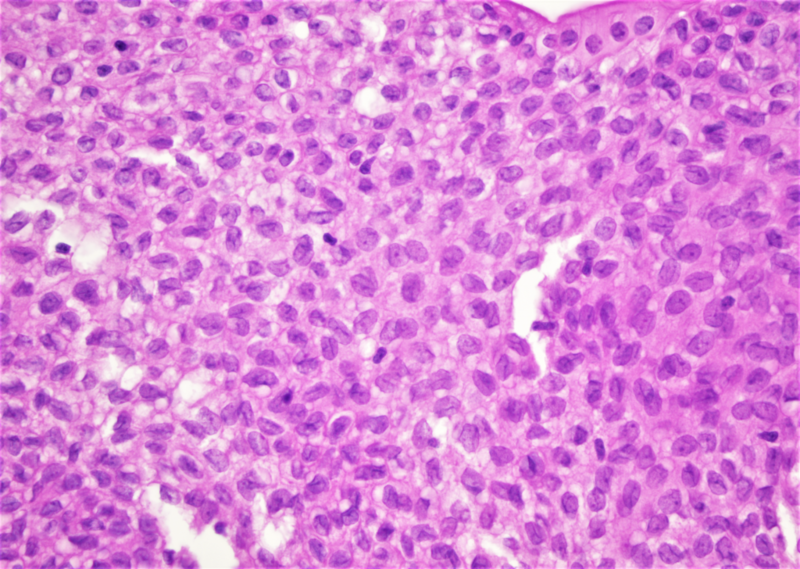 Although PUNLMPS have about a 30% risk of recurrence over 15 years, typically as PUNLMP, only rare cases recur as higher grade cancer with invasion. In contrast to low grade papillary urothelial carcinoma where uncommonly there may be associated invasive low grade urothelial carcinoma, there is never concurrent invasion with a PUNLMP. Also no one with a PUNLMP will have a death due to bladder cancer. 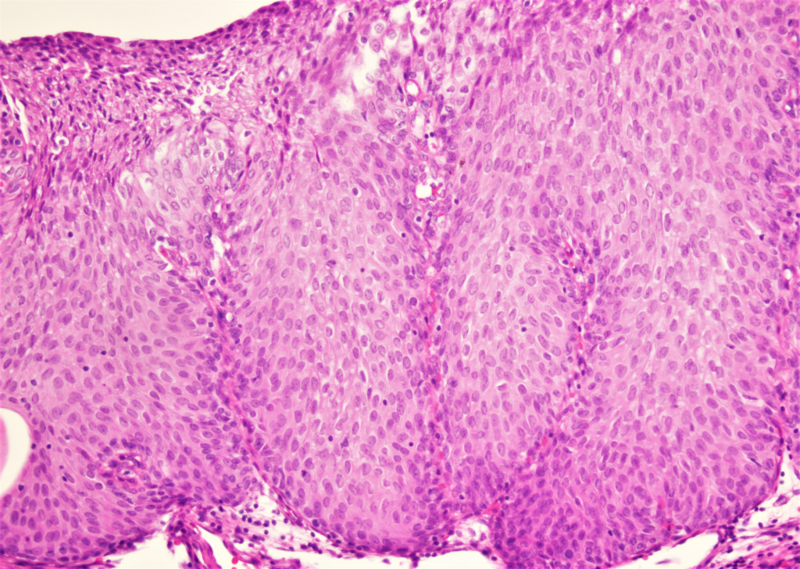 Although patients with PUNLMP will still be followed by urologists like a low grade papillary urothelial carcinoma, the patient is not labeled with a “carcinoma” diagnosis.